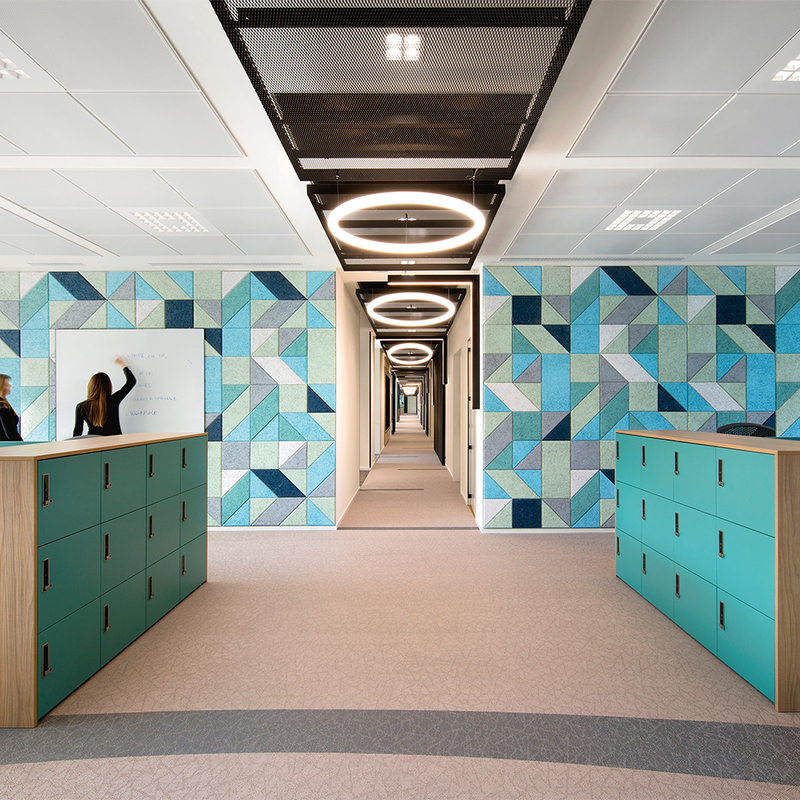 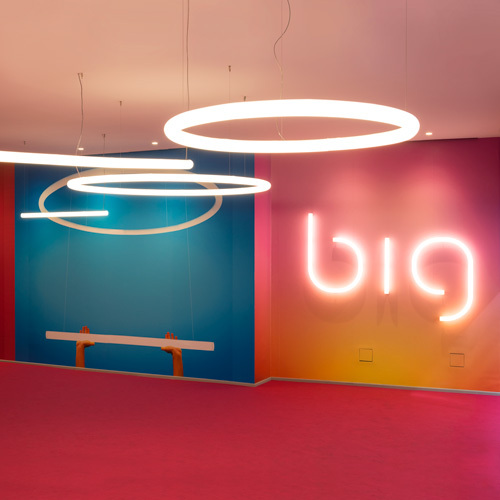 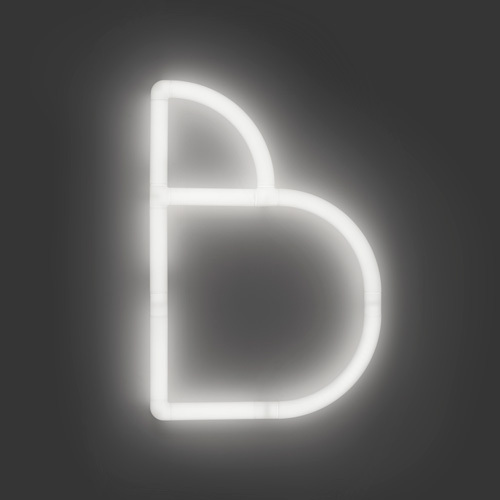 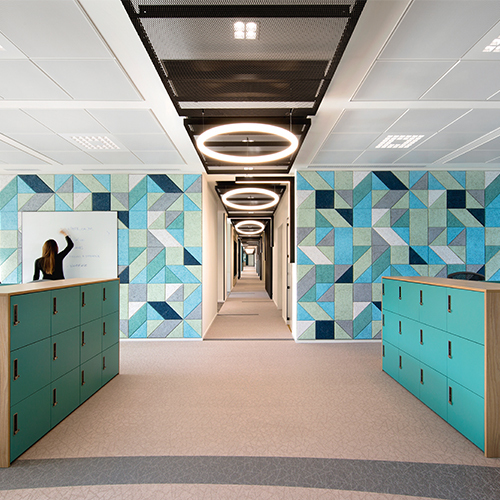 Alphabet of light can be used to design light in a space with words as well as graphic signs using simple base modules with specific geometric proportions that can be combined to create countless linear or curved structures of light. 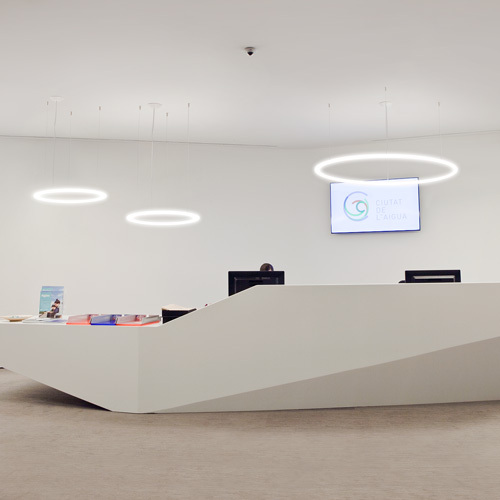 The linear and round modules can be combined to form a system of letters, numbers and symbols as well as free or closed compositions. 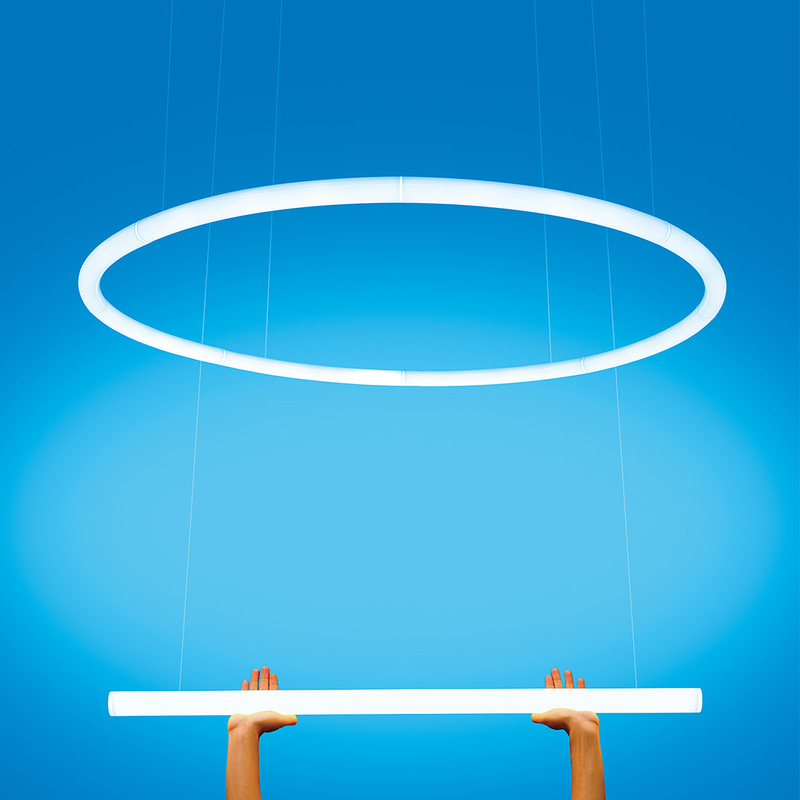 Alphabet of Light Linear or Circular can be arranged in countless basic or more complex structures to produce suspension appliances that can match with architecture or space functions. 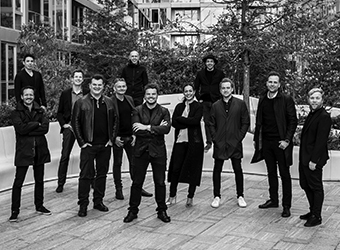 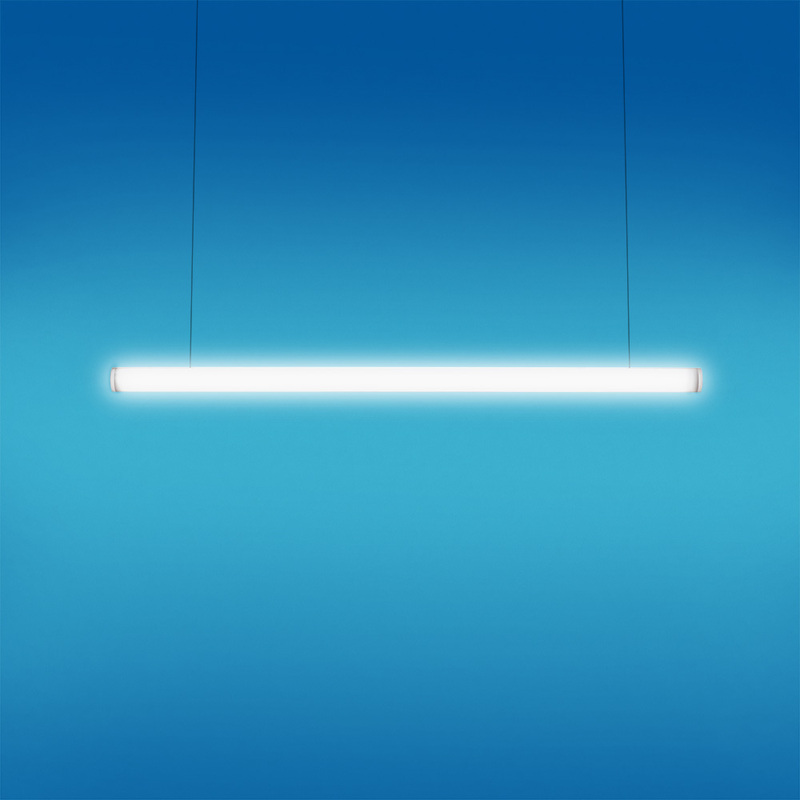 Alphabet of Light uses innovative technological and manufacturing principals to produce a continuous and comfortable light. 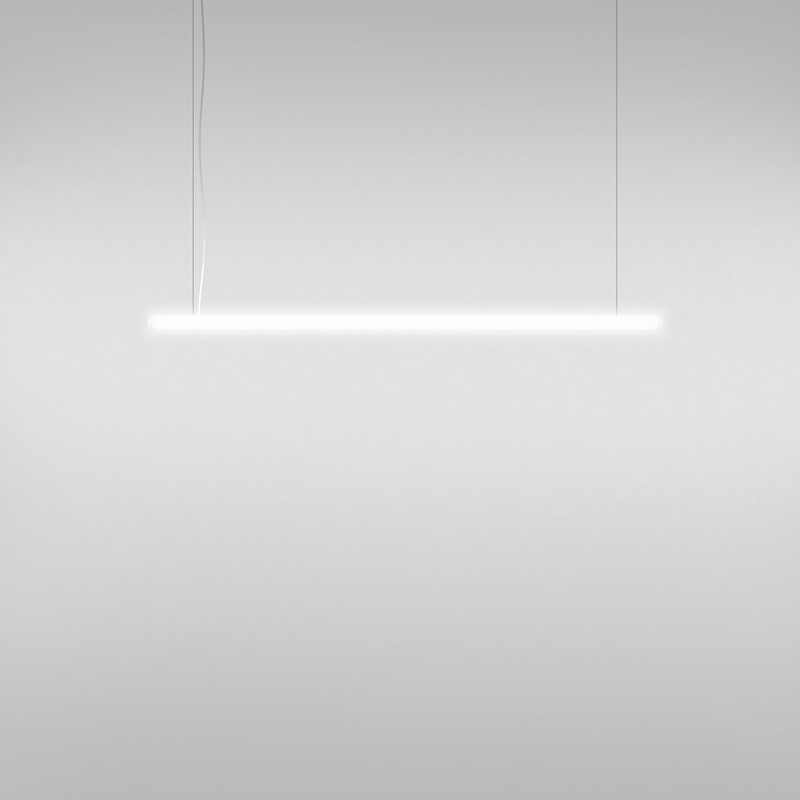 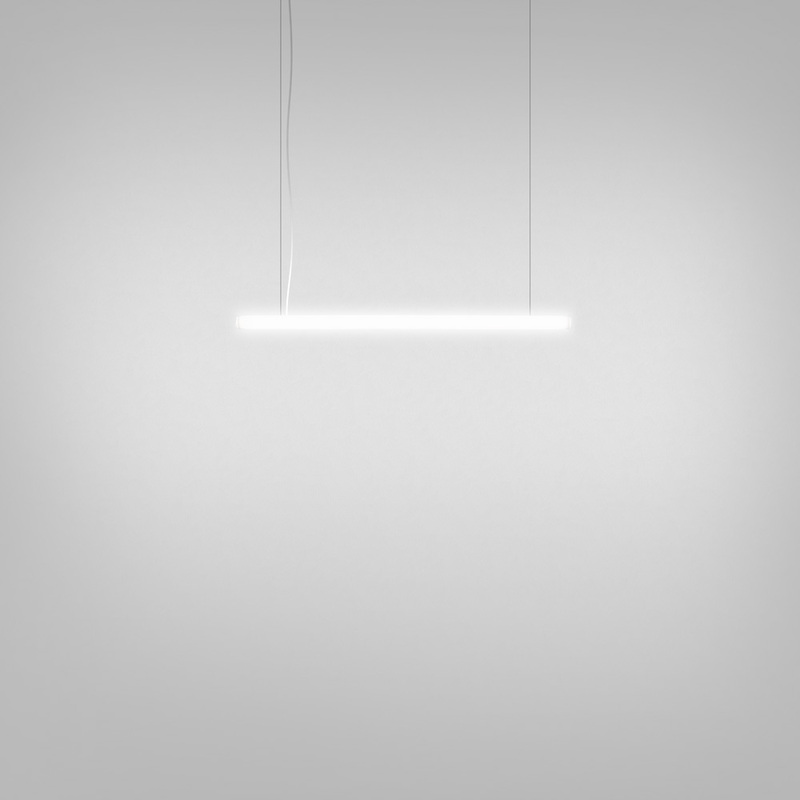 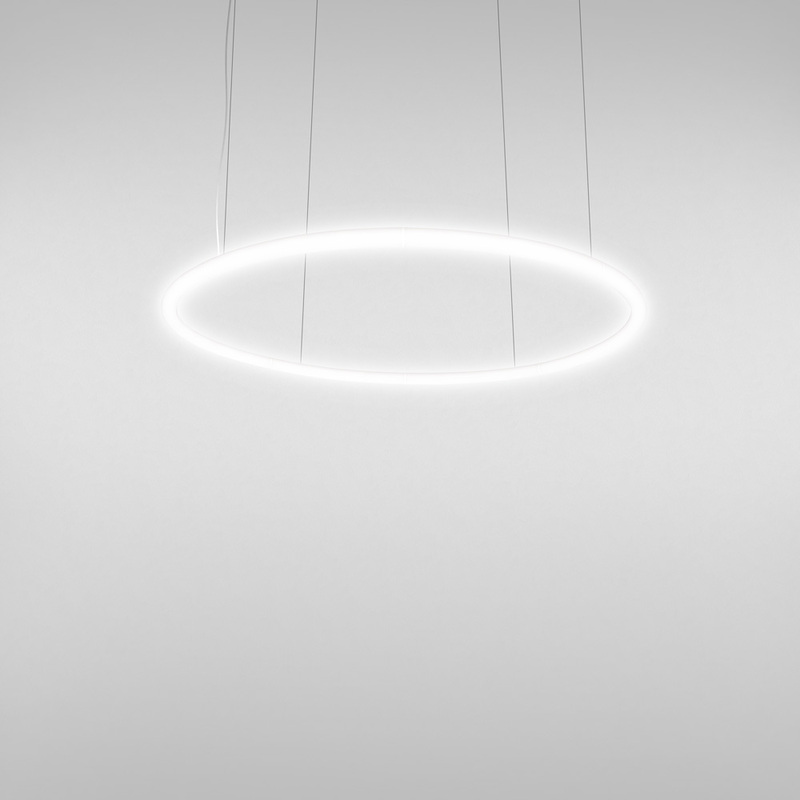 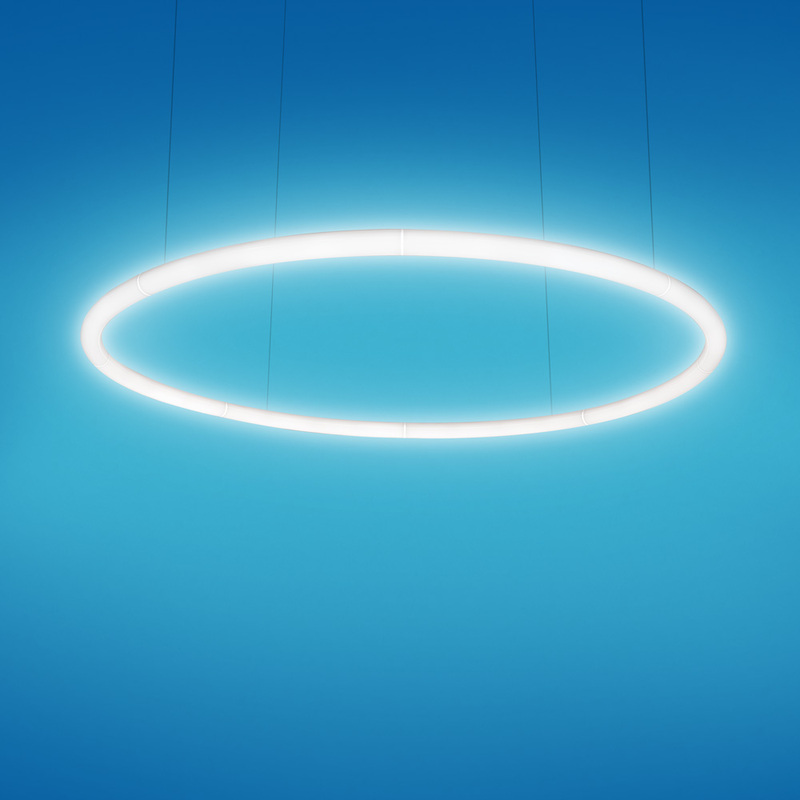 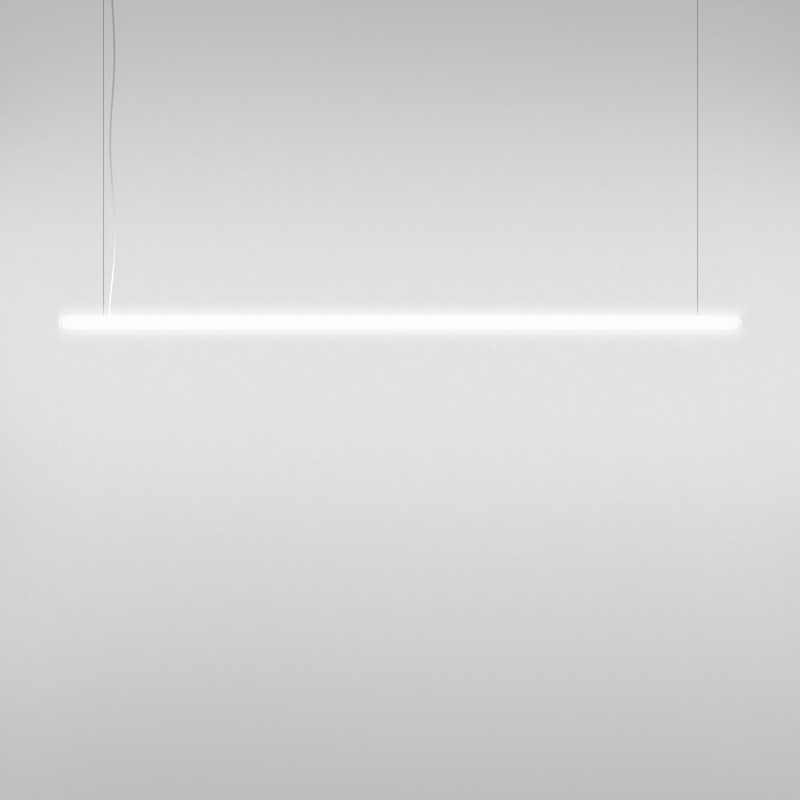 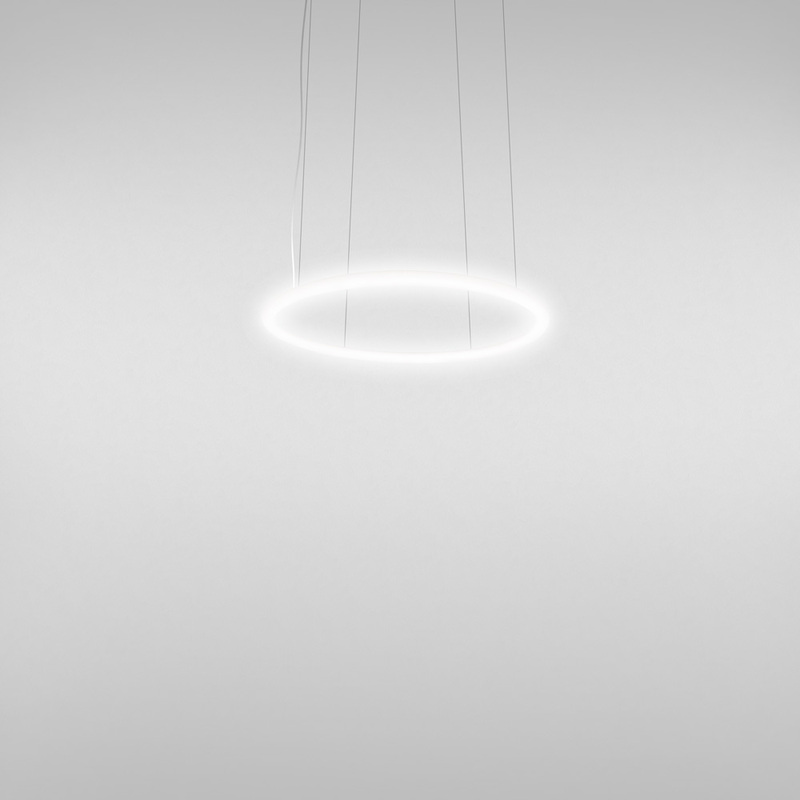 Alphabet of Light, Linear and Circular versions, are available in two sizes. 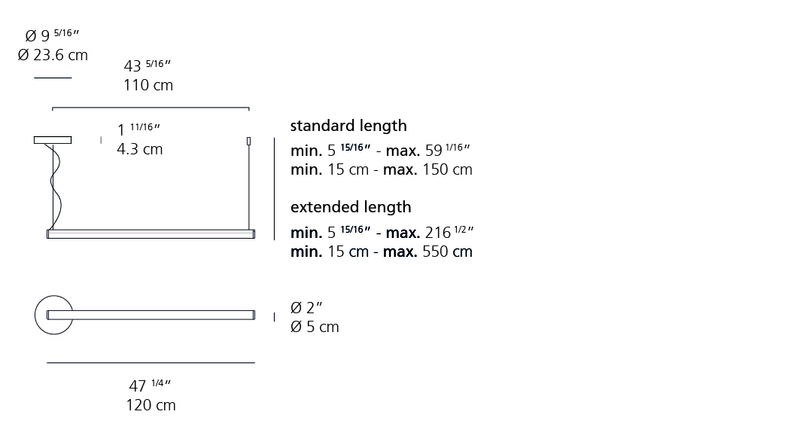 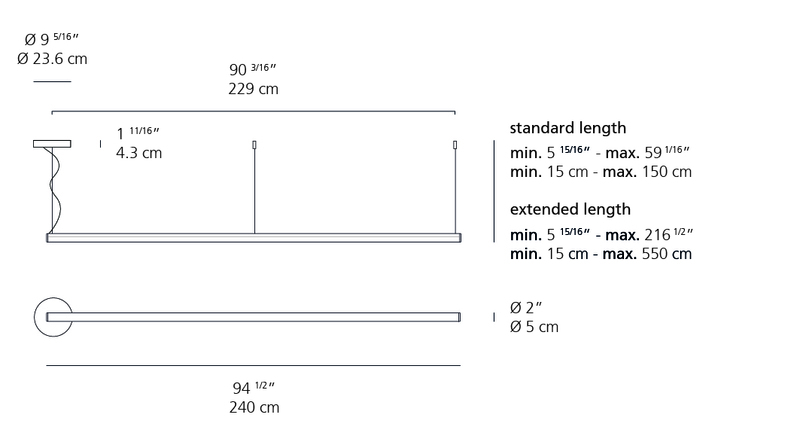 - Linear: 120 cm or 180 cm & 240 cm. 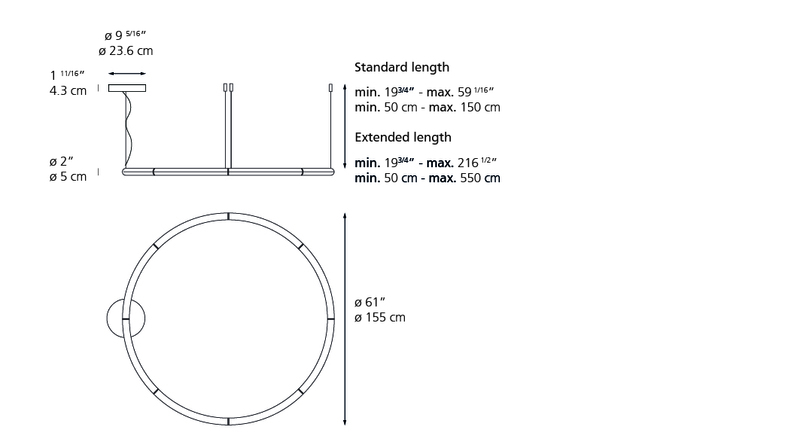 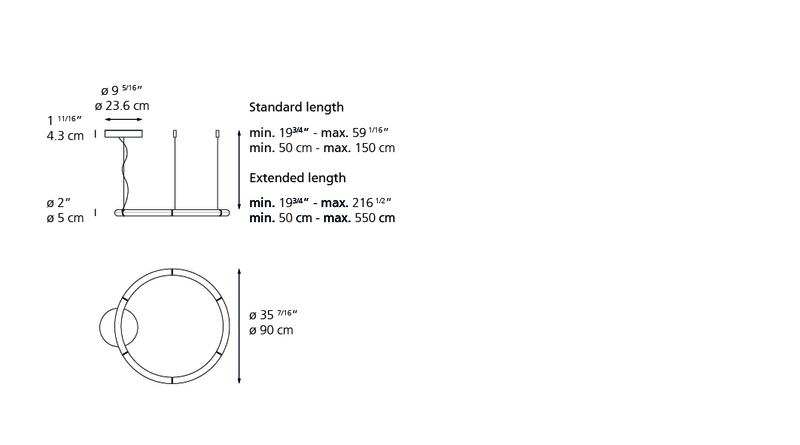 - Circular: 90 cm (6 modules assembled) or 155 cm (8 modules assembled). -Illuminated tubes in opaque injection molded PMMA. 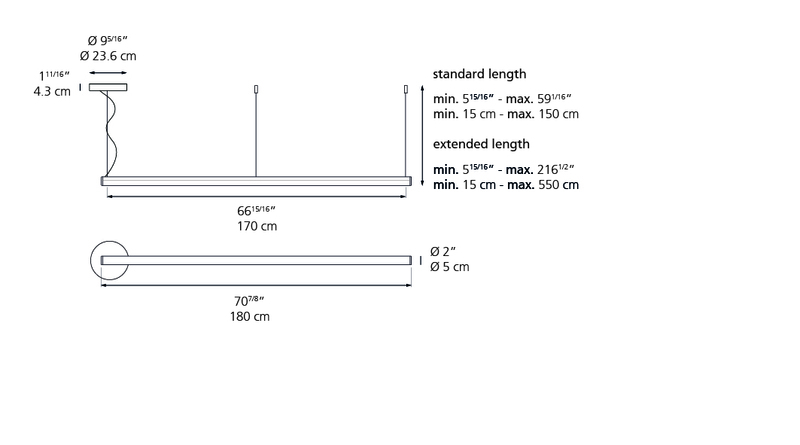 -Support pins in brushed aluminum.